Too many people are wasting money on advertising (online and offline), failed content marketing and influencer marketing of dubious value. But the waste of money and effort isn’t the worst part. The worst part is that you are sitting on the solution. You already HAVE what you need to grow your business dramatically. Did you know that between 50% and 90% of all purchases are influenced by word of mouth? But yet, you don’t have an actual word-of-mouth strategy. How is that possible? For most businesses, word of mouth creates more customers than any other acquisition mechanism. Yet, it’s also the acquisition mechanism that we take almost entirely for granted. You have a marketing strategy, a sales strategy, a content strategy, a social media strategy and a hiring strategy. You have a whole desk full of strategies. But you don’t have a strategy for the MOST IMPORTANT thing you can do to grow your business: giving your customers a consistent story to tell about your company. I want to fix that together. Let’s give you an actual word-of-mouth strategy that uses purposeful, operational differentiators to compel conversations. Let’s figure out ONE THING that you can do differently that your customers will notice and discuss. I don’t know everything, but I do know this: the best way to grow your business – the very best way – is for your customers to grow it for you. 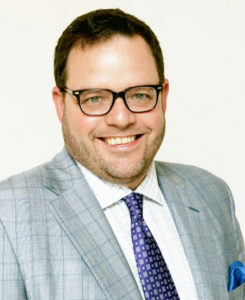 Daniel and I want to help you figure out that ONE thing that will get your customers talking. Let’s do it, okay? We’ve spent 8 years researching, building and testing this formula, and we’re ready to give it to you. We wrote a best-selling book called Talk Triggers that showcases the system and why it works. Best-selling author Bob Burg called it “the best business book he’s ever read”. Jessica Lorimer followed the system and made $15,000 dollars with it in the first seven days. This word-of-mouth system simply WORKS. If you’re a small company, it works. Solopreneuer? It works. Big company? Works. B2B? Works. Non-profit? Works. B2C? Yes, it works. You WILL grow your business. You WILL change how you think about marketing. You WILL NOT have to waste money on a bunch of ads. It’s a 12-week program, with 99 memberships available, because Daniel and I want to be able to work with you very closely to guarantee you absolutely crush it with this system. How to rapidly and consistently scale your company without spending more money on ads, or “influencer marketing”. How to find ONE THING in your business you can do differently, that customers will notice. Why people have the power and why their words are more important than ever. Why same is lame and why competency doesn’t create conversation, not to mention, why the more you try to fit in, the more your customers tune out. How to build a reliable, effective word-of-mouth strategy that gets you new customers (for free). The specific, repeatable, proven process that any business can use to grow with word of mouth. The three reasons word of mouth fails and how you can avoid them. Each week is taught by Daniel or me: the creators of the system. Each week includes a video lesson where we’ll take you through the specific steps to get your customers talking about your business over and over and over and over. Each week, we’ll have a live question-and-answer session to help you put these principles into practice IMMEDIATELY. Each week, you’ll have a workbook with lessons you’ll complete to build your word-of-mouth strategy and grow your business by turning your customers into volunteer marketers. Go here to see how detailed and practical each session is. You’re going to love it. The word-of-mouth marketing master class is inspirational, relevant, fun, motivational and interesting. How much do we believe this program will make a huge impact on you and your business? If you don’t like it, we’ll buy you any other training course – taught by anyone in the world – of equal or lesser value. Period. In addition, if you sign up before December 31st, you’ll save four hundred dollars. That’s no joke. Also, we’ll give you a free, signed copy of our best-selling book. Plus, we’ll give you access to the course for all of 2019, at no extra cost. So, as we add new content, new workbooks, new examples and more, you’ll get it all for free. As a bonus, if you’re one of the first 25 participants, Daniel or I will do a free 1:1 consultation with you. Stop wasting money on stuff that doesn’t work and invest in what you know already works: word of mouth. You know it’s effective. Think about how many times you make decisions because someone told you about a product or service. What you need now is a PLAN. 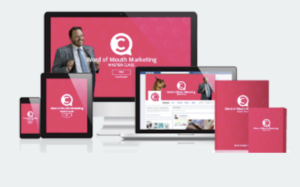 You need a proven system for compelling conversations among your customers, and that’s what we’ll give you with the Word of Mouth Marketing Master Class: How to Grow your Business and Get New Customers without Wasting Money on Ads. 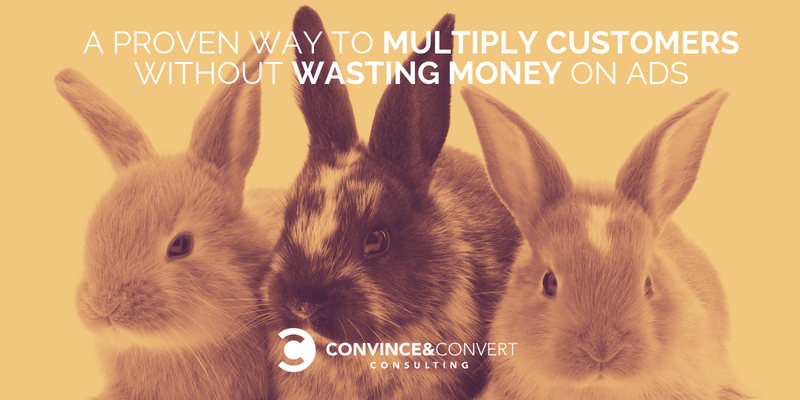 The post A Proven Way to Multiply Customers without Wasting Money on Ads appeared first on Convince and Convert: Social Media Consulting and Content Marketing Consulting.